*Price based on 4 travelers. If you are a different number of travelers please contact us for price details. Join us at this magical excursion to visit two “Magic Towns” of Yucatan! We will start with the cultural and beautiful city of Valladolid. 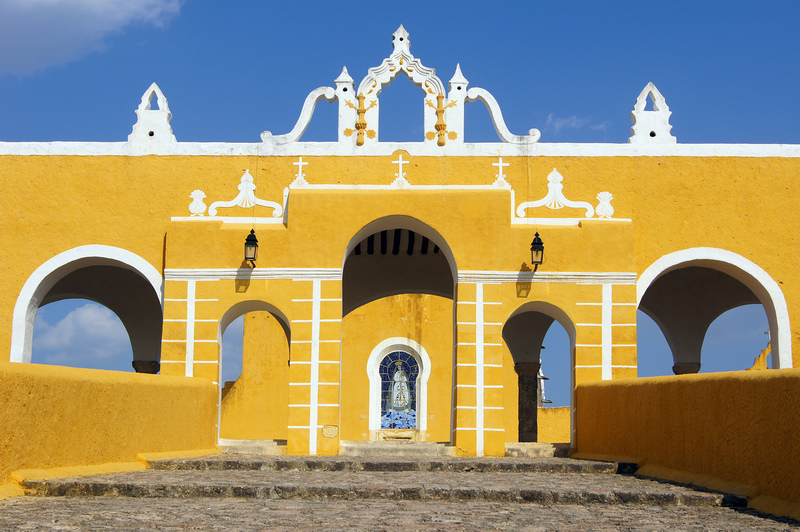 After that, you will visit the always yellow town of Izamal. This tour is perfect for immersing oneself in particular details of Mayan history. * This is a private basis journey, if you want to customize this itinerary or require any variation in the tour, please contact us or click on “Request more info”. At your accommodation in Merida City. Suggested starting time 08:00 AM. Bring sunscreen and mosquito repellent. Wear comfortable clothes and shoes. Discover Valladolid, named “Magic Town” in 2012. 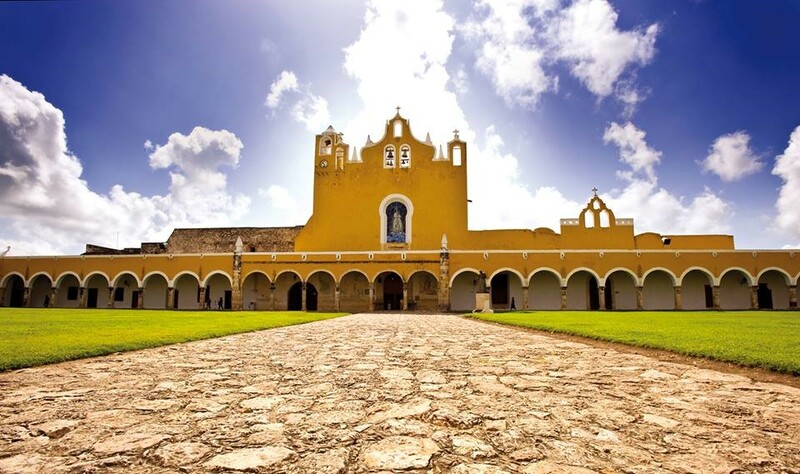 Discover Izamal, known as the “City of the Three Cultures” and named “Magic Town” in 2002. English speaking guide during the tour. All transportation expenses such as fuel, parking, etc. On board cooler with soft drinks on ice during transportation. 08:00 – Pick up at your particular hotel in Downtown Merida and departure. 10:00 – Arrival to the city of Valladolid for guided visit through the Convent of San Bernardino. 11:10 – Departure for visit at Casa de los Venados. 12:30 – Transfer to Izamal. 15:30 – Visit the Ex Convent of San Antonio de Padua. 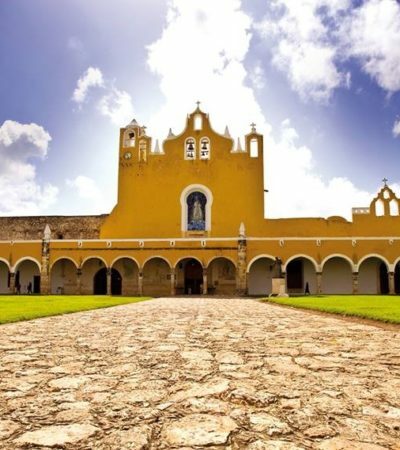 16:30 – Visit the cultural and handcraft center of Izamal.  17:00 – Transfer to Merida city. 18:00 – Arrival at Merida city for drop off in hotel. Adventures Mexico is a small, but growing company. We have been operating tours for 15 years and we work with Operation Partners so we can deliver you the best quality and price in each tour.